Group of Irish celebrities urge national broadcaster to boycott Eurovision 2019 in protest over Israel’s treatment of “Palestine”. The calls for a boycott of the 2019 Eurovision Song Contest, which is scheduled to take place in Israel, are continuing. The latest call came from a group of Irish celebrities who called on the Irish national broadcaster RTE to boycott Eurovision 2019 in protest over Israel’s treatment of “Palestine”. 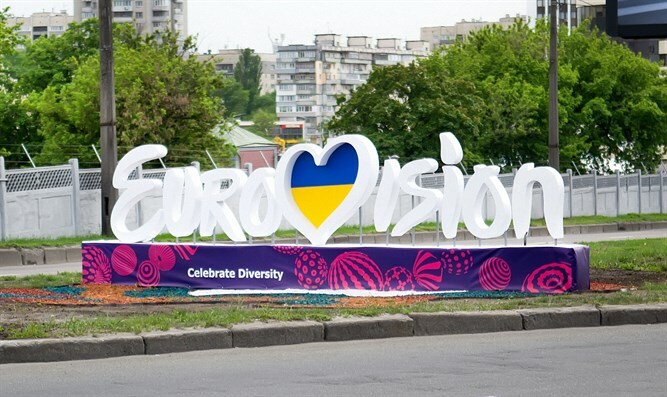 According to the Irish website Extra, the Irish Campaign to boycott the Eurovision in Israel 2019 has now secured the support of 20 public figures including actor Stephen Rea and musical artists Mary Coughlan, Luka Bloom and the members of Kíla. Former winner Charlie McGettigan was one of the first to call on RTE to boycott the event, to be held in Tel Aviv next May 18. Calling on RTE not to participate and for musicians not to make submissions to the contest, the Irish campaign group warned the station that they could be left without a song after a group representing Irish songwriters said they will boycott next year’s competition in Israel. The Irish campaign, part of an international one, handed in a petition of more than 11,000 signatures calling for a boycott during a meeting with RTE Director General Dee Forbes, according to Extra. The letter outlines that participation in Eurovision 2019 would be unconscionable due to Israel’s “oppression of the Palestinian people”. So far, several broadcasters have rejected the boycott calls, including the British Broadcasting Corporation (BBC) and Australian public television network SBS.